I will post some obituaries and other notices about Ali that appeared after she died, before going on to post other items. The obituary in the Daily Telegraph was published in the paper on 12 December, and appeared online the previous day. Alison Davis , who has died aged 58, was a severely disabled woman who became a prominent campaigner against the legalisation of assisted suicide, a campaign which was all the more potent because for many years she had wanted to end her own life. Alison Davis was born on January 8 1955 with spina bifida and hydrocephalus and later developed emphysema, osteoporosis and arthritis. By her thirties her spine was collapsing, trapping nerves and causing excruciating pain. Confined to a wheelchair from the age of 14, she needed full-time care. As a young adult, Alison Davis tried to live as normal a life as possible. She read Sociology at university and married in 1975. But in 1985 her marriage failed and, unable to cope, she tried to kill herself on several occasions. Friends found her in time, however, and she survived. “I had a settled wish to die that lasted over 10 years,” she wrote later, “and at that time doctors thought (wrongly as it turns out) that I had only a very short time to live.” If “voluntary” euthanasia had been a legal choice at the time, she said, she would have requested it. A combination of factors had helped her to see that she had a worthwhile future, including her growing involvement in charity work, though another key factor was her gradual conversion to Roman Catholicism. As a young woman she had stopped believing in God and had supported a woman’s “right to choose”; but her attitude changed after she read newspaper reports of the case of a baby girl who had been born in hospital with the same disabilities as hers, but who had been sedated and, in the terminology of the time, allowed to succumb to the inevitable “with dignity”. Shocked to think that she, too, might have suffered the same fate, in 1981 she wrote a letter to the Guardian attacking the “killing” of newborn disabled babies. As a result she was contacted by the pro-life Society for the Protection of Unborn Children (SPUC) which sought to convince her that killing a newborn disabled child was merely an extension of the legalised practice of aborting the unborn. 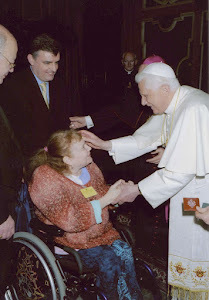 From 1983 Alison Davis began working for SPUC’s new Handicap Division (later renamed No Less Human), and after two pilgrimages to Lourdes she was received into the Catholic Church in 1991. In the years that followed she became a leading spokeswoman not only in opposition to attempts to introduce legislation allowing assisted suicide, but on such matters as abortion, genetic screening and embryonic stem cell research, which she acknowledged might potentially help people with conditions like hers, but opposed on the basis of the belief that life begins at the moment of conception. 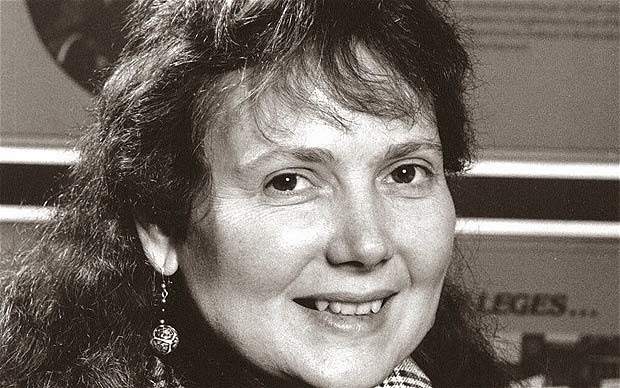 In 1987 Alison Davis had met Colin Harte, who was working for SPUC and later wrote Changing Unjust Laws Justly; Pro-Life Solidarity with the Last and the Least (2005). 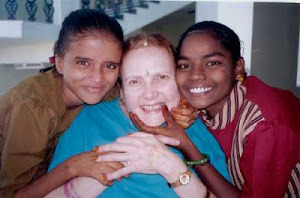 He became her carer and companion, and in 1995, with his help, she set up Enable, a charity for disabled children in the Indian state of Andhra Pradesh. It gave her a renewed purpose in life and on her birthday in 2001 the charity opened its first new home, named after her. In 2002 Alison Davis won the Clarins Woman of the Year title for her charity work, and the following year was named Britain’s most inspirational woman in a competition organised by the Body Shop and Marie Claire magazine.